August 1st- 7th is the world breast feeding day and it's celebrated across 120 countries to educate young people about the importance of breast feeding. Mother's milk is the vital nutrition for babies aged 0-2yrs. 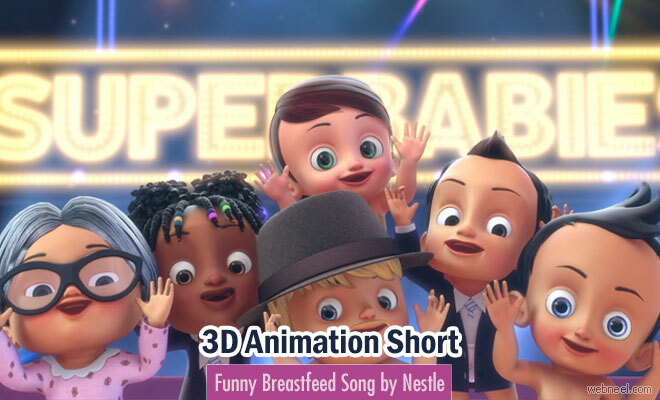 Nestle India has come up with a breast feeding campaign with a music video which has become a super hit in the internet. 'Superbaby' is an animated video song with babies doing popular moves and also appreciating anyone who shares their mom's chores. Superbaby musical video was conceptualized by McCann and educates the public through the eyes of the babies. It's fun to see Master B.I.G, Lil Wiz, Germstoppa, Baby Luv, doctors, fathers in diapers and rapping to the music. Superbabies are back again and this time they come with a message, "Did you know that all you dads, grandmas, bosses and friends out there can help moms breastfeed too?" Well, check out the video trailer to find out how a family can help a new mother nurse her baby.